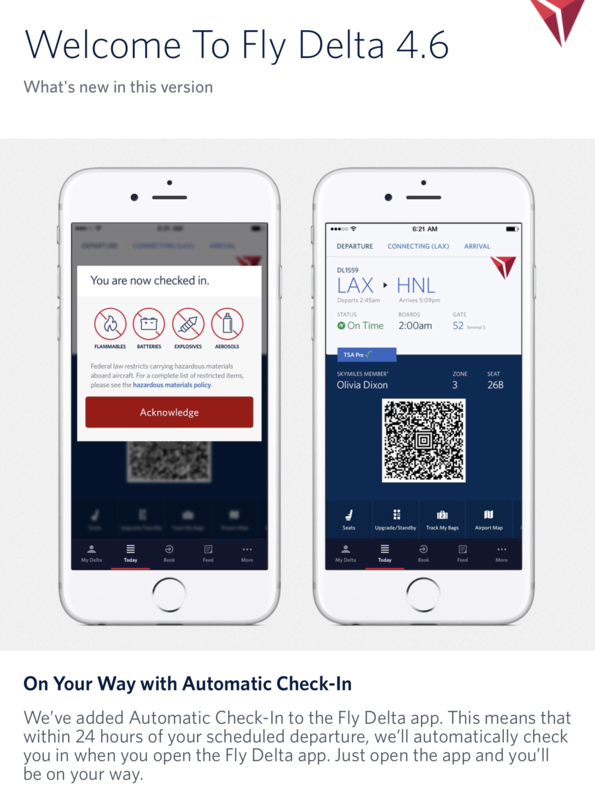 Delta has rolled out an update to its Delta mobile applications that do away with checking in for your flight 24 hours before takeoff. Instead your boarding pass will now show up automatically 24 hours before your flight and you’ll just have to confirm that you are not bringing on any prohibited items. This move does away with an outdated method of forcing passengers to check in 24 hours before your flight for no really good reason. For airlines like Southwest who rely on this 24 hour time to determine boarding groups, this really doesn’t work with Delta as all seats are usually assigned during ticket purchase. We’ve eliminated the check-in process. Your boarding pass will automatically appear 24 hours before your flight. 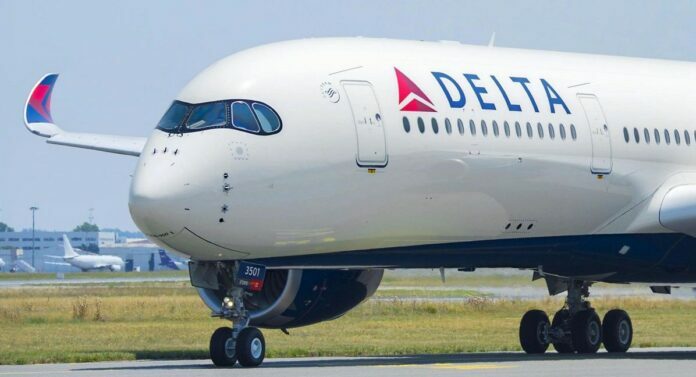 For Delta this is an interesting move as it eliminates some things that airlines normally use for upgrades and statistics. For airlines they can use this check in method to get an idea of how many people are actually going to show up for the flight. This is an important statistic to keep track of if you’ve oversold the flight or what to expect with how many people are going to show up for the flight. Additionally, during check in it’s the perfect time to up sell your passengers to seat upgrades and other flight perks to make the airline more money. Delta will be losing these huge metrics that the airline can use for efficiency and insight to their flights. For the passenger this may have some implications for you including same day flight changes. Airlines have specific rules with same day flight changes, one of the big ones almost any airline imposes is not being checked in for your flight before making any changes. Delta may possibly make exceptions to this rule but we don’t have any data points yet to confirm. Overall it’s a positive move for the airline, while I might like to be the one to check in for my flight this will save one extra step to do for your flights. Only time will tell how this actually works for Delta and what sort of consequences that Delta runs into for implementing this change.